Three Baton Rouge area police officers were murdered in an ambush this morning. At this time, at least three other officers have been wounded, one black male suspect is dead, while two suspects are at large. The last fallen Dallas police officer had just been laid to rest this weekend and now more LE families have been tragically struck. My agency worked this week to prep for a BLM rally in a local park. A large thunderstorm quashed the protest, but it was a good practice run for our newer officers, who have not yet had to stand a line. Still, it added to the workload for all of us and drove up an overall sense of anxiety. Many of our guys were apprehensive about an ambush attack. At an apartment complex a mile away from the park, a maintenance worker had found and reported dozens of empty boxes that had contained .308 caliber AR-10 magazines. That find, the same morning as the rally, ramped up everyone’s unease. When my lieutenant and I stopped to get a quick sandwich and drink to-go at a convenience store, both patrons and workers alike commented on us being a two-man car. One guy outside said he liked seeing us riding “2-up.” A clerk said she thought it was a good idea for us to pair up for safety and support. Around the station, I have heard much much talk of the fatigue officers are feeling at the continued negative perception of law enforcement by some vocal factions and the media for the past two years. The ambush shootings have only made a bad situation worse for all of law enforcement. 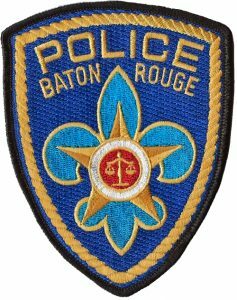 It is heartbreaking that the two Baton Rouge officers and East Baton Rouge Parish deputy will never return home to be with those who loved them. This violence must stop.